Argentinean footballer Lionel Messi has caused widespread controversy in Egypt after donating his shoes to charity during a television interview. The 28-year-old Barcelona star requested to put his shoes on auction and donate the revenue for charity in an interview for a new show called 'Yes, I am famous' broadcasted Saturday on Saudi channel MBC Masr, that mainly targets an Egyptian audience. Taken as an insult, Messi’s gesture was heavily attacked by some Egyptian TV presenters and known guests. 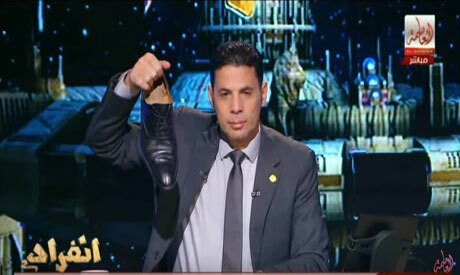 "We [Egyptians] have never been humiliated during our seven thousand years of civilisation… I will hit you with the shoes, Messi," said controversial parliament member and TV presenter Said Hasasin on Sunday during his evening talk show. "This is my shoe, [he took off his shoe on air] I donate it to Argentina," Hasasin said. 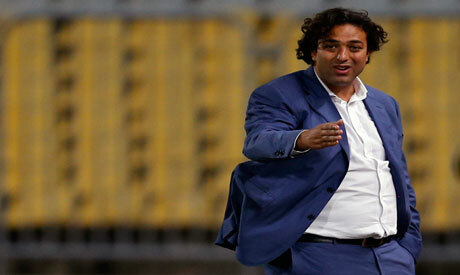 The Egyptian Football Association spokesman Azmy Megahed echoed Hasasin saying "Our poor don't need him. Shoes work for him," during a phone call to Hasasin’s programme. "I am confused, if he intends to humiliate us, then I say he better put these shoes on his head and on the heads of the people supporting him. We don't need his shoes and we don't need charity from Jewish or Israeli people. Give your shoes to your country, Argentina is full of poverty" Megahed angrily said. "The most precious thing the writer owns is his pen… and the most precious thing the footballer owns is his shoes. I hope we stop the false accusations," former Tottenham Hotspur and Egypt striker Ahmed 'Mido' Hossam tweeted. For her side, Messi's interviewer on the show Mona El-Sharkawy denied mentioning Egypt in the donation and insisted she only said charity. "This is so false. It's a trend on our show that we take a souvenir from our guest and put it on auction for charity," Sharkawy stated in a phone call with another TV programme explaining the matter. "I am surprised; I didn't say we will be giving it to charity in Egypt or any other place. I don't know why they said he is presenting it to Egypt. This was never said," she concluded. No one f*cking said that the shoe's auction money was going to be given to Egypt.The Ignorant Egyptians have the restless habbit of assuming ;wether they are poor cab drivers or high ranked police officers. More importantly, they are also ignorant in that they don't realize that the shoe is the most valuable item Messi has and that its good of him to help. You dont deserve to be given Messi's shoes, you deserve to be given a beggar's shoe because thats what you deserve you descriminatory b*stards. Messi's offered donation of his shoes was not an insult to Egypt or Egyptians. It was an act of charity. Of course, Egypt found away to be insulted by 'the shoes.' Egypt always finds a way to be offended. It then wonders why people stay away as tourists, investors, aid workers. Never let Egypt work with its friends. Egypt doesn't play well with others, especially its friends. To top it all off, how many Egyptian teenagers would be more than a little happy to wear Messi's shoes during his next game? But it is against Egypt's nature to ever acknowledge a kindness. It enjoys being outraged. Being an egyptian, I am very dissapointed in the way that imbecile tv presenter acted. But why do you have to generalize and say that about the whole population? Just because one person thinks something stupid doesn't mean everyone thinks the same way. Why are you saying "never let egypt work with its friends" ? please tell me an example where Egypt was "offended" by anything. thank you. Dear Sarah, as I agree with you that it was a nice gesture for Messi to donate his shoes to charity and Egypt, I have to ask the six million dollar question if nobody else wants to ask it: Why did he donate 1 million dollars to Israel last year? Does this mean Israel is more valuable to him than Egypt? Please do not take my word for it. Please research and see for yourself. Sorry i meant we appreciTe him and this kind gesture.